We are solving the global water crisis through self-empowerment, onsite training, and sustainable water points. It is vital that our work be sustainable, so we establish local ownership and economic viability with each installed water system, which is then maintained and operated by local people long after we are gone. In short, if the water well improves life and makes money, then the community will make sure the water stays flowing. 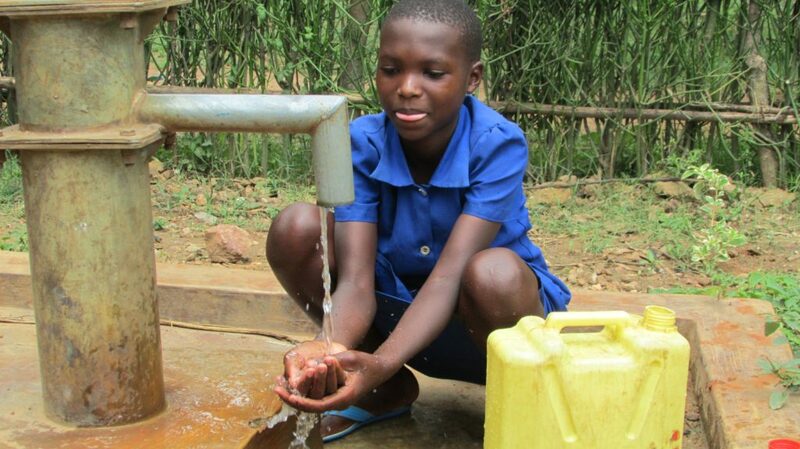 We are committed to install water points in the most impoverished areas of the world. In 2018, our main focus is scaling our model in rural villages of Kenya and Uganda, drilling multiple water wells at local grade schools. 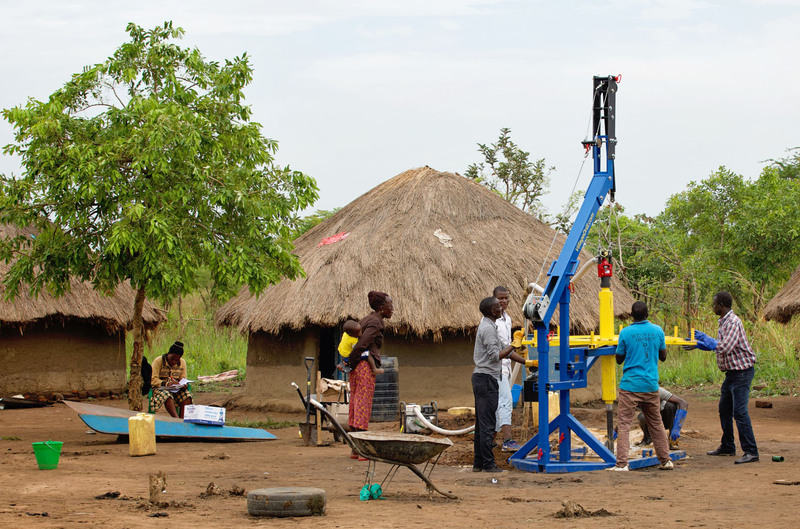 Using our patented Village Drill, trained teams on the ground work with these communities to determine local water needs and viable drilling sites. Families in the area commit to raising approx. 10% of the costs as the first step toward well ownership. WHOlives donors and supporters can subsidize the other costs associated with each well, allowing us to install new water points each month! Your support will help cover the costs of the drilling team and required materials (casing, cement pad, water pump, etc). Training is provided so that villages understand how to maintain the well for generations to come. This initiative is a proven solution that leads to increased education for girls, improved health and sanitation, and greater opportunities for development. We are determined to eradicate scarce and contaminated water sources in the world. No one should ever have to drink polluted water, knowing that it will lead to disease and eventual death. Your support could help purchase a patented Village Drill for a local team on the ground (across Africa, Asia, or Latin America). This specific team will then be trained on proper use and maintenance of the Village Drill, plus standard business practices. With a Village Drill team in place, and a business model in practice, more communities will receive clean water wells that lead to long-term development and change. The developing world is littered with broken pumps and contaminated wells installed by well-meaning organizations and individuals. In the traditional (but flawed) system, pumps and wells are often given freely to communities in need. But if a pump breaks, with no sense of ownership or knowledge of maintenance, no one will fix it. However, in our model, ownership and economic viability is established so maintenance and access to clean water is continuous. Generating new income is the key to providing sustainable solutions to eliminating poverty. When pumps and wells are privately owned, and a new business is established, owners can charge families a nominal water fee each month. As a result, this small fee creates new wealth in the community, which in turn bolsters the local economy and creates new jobs. The additional resources are used to support local schools, clinics, churches and community groups.